I'M BACK! Boredom rules all. Watch with me as I go along for episode 3! Baekhyun posing like a model LOL photoshoot time HAHAHA I love the runway like music that starts playing. Awww Luhan and Xiumin, my fave couple hehe. The time has come!!! 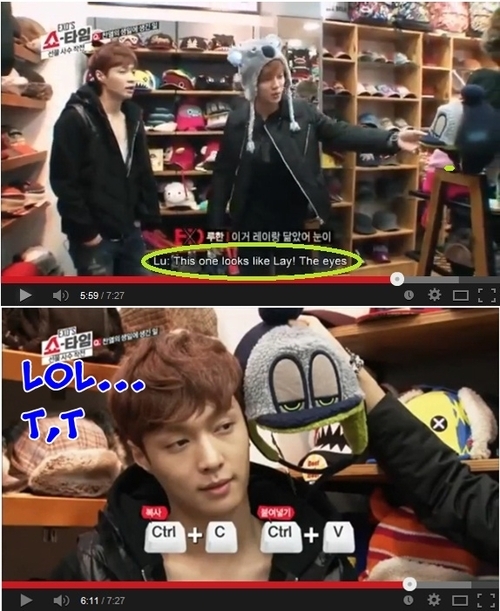 Poor Chanyeol hahaha, only get the presents if he gets the present-giver right! 8. Leopard pants to go with the hoodie! And another win for Chanyeol!